As Easter approaches, pet owners everywhere are making plans to gather together for family dinners, share hot cross buns and go hunting for chocolate Easter eggs. Delicious! Easter is also a popular time to send and receive flowers. However, the treats we surround ourselves with at Easter may have the potential to cause harm to our beloved pets. While a roast dinner is a great way to get everyone together, the cooked bones from a roast are a big no-no for your dog or cats they can create multiple health issues. These can range from tooth damage, “foreign body obstruction” (bones getting stuck in places! ), constipation, to splintering and causing damage to the lining of the gastrointestinal tract. Hot cross buns contain sultanas and raisins, and these can cause significant damage to kidneys which may be irreversible. Most people are aware of the dangers of chocolate for dogs- but read on to find out . Why is chocolate so bad for our pets? Chocolate contains caffeine and a chemical called theobromine – both are dangerous to cats and dogs, and even horses and parrots! Like caffeine, theobromine is a stimulant, which means if your pet eats chocolate, their heart rate increases or beats irregularly and they can become hyperactive. Your pet can’t metabolise theobromine and if they ingest a toxic amount, they can become very unwell, occasionally with fatal outcomes. Symptoms can occur anywhere between 30 minutes and 24 hours after ingestion but are best managed as soon as possible after eating the chocolate. Use the Chocolate Toxicity Calculator to determine the symptoms and whether an emergency Vet visit is required. The calculator provides a guide on how much theobromine and caffeine your dog ingested. If you have any concerns about your dog's chocolate ingestion, please contact us for advice as soon as possible. Dark and cooking chocolate are the most dangerous types as these chocolates contain the highest percentage of cocoa. Half a 250g block of dark chocolate can affect a 10kg dog. There are a lot of flowers that can be poisonous to pets; geraniums, tulips and azaleas should be avoided, but overall, the most toxic flower to cats and dogs is the Lily. Lillies are highly poisonous to cats, ingestion of even a small amount can cause irreversible kidney failure. 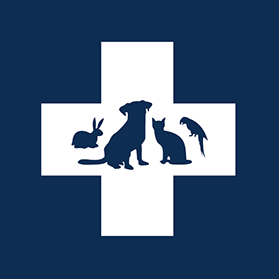 If you think your pet has ingested something toxic contact your vet clinic immediately and they can give you appropriate advice. Ensure before the long weekend you have made yourself familiar with your vet clinic’s emergency care provisions. But remember, above all, Easter is a time to spend with our family, friends and pets. Rest up and have fun! Remember, a treat isn’t the only way you can show love to those four legged friends who make our lives so special. Open the door and explore the big wide world! Enjoy the long autumn nights and treat your pet by walking that Easter indulgence off! !